This brilliant essay appeared in Practical Neurology Nov/Dec 2016 issue by Paul G. Mathew, MD, FAAN, FAHS. Dr. Mathew is on staff in the Department of Neurology and is Director of Continuing Medical Education at the Brigham and Women’s Hospital, John R. Graham Headache Center, and staff neurologist at Harvard Vanguard Medical Associates and the Cambridge Health Alliance. He also serves as the neurology representative on the volunteer advisory board of the National Board of Physicians and Surgeons. WHAT DO PRIVATE PAYERS GAIN FROM REQUIRING MOC? As a volunteer board member of NBPAS (no compensation or honorarium as opposed to the salaries of ABMS board members, which can range from $300,000 to greater than $800,000), I have often wondered why private payers require MOC when Medicare does not require board certification or MOC. The answer is quite disturbing. Private payers actually participate in certification, which is issued by the National Committee of Quality Assurance (NCQA). Margaret E. O’Kane is the founder and president of the NCQA, and she is also a member of the ABMS Board of Directors. The NCQA requires private payers to require physicians to participate in MOC in order to be NCQA certified. Thus, anyone contracting with a private payer will require MOC. In the conflicted case of Ms. O’Kane, she profits from the NCQA requiring private payers to require physicians to participate in MOC, and then she profits again from her ABMS position when said physicians must pay to comply with MOC requirements. Dr. Mathew will be giving Neurology Grand Rounds at Michigan State University/Sparrow entitled "Maintenance of Certification: Reform or Reboot?" on 13 Jan 2017 from 07:30-08:30 AM EST. All are welcome to attend. She needs to be called out on this. Also, if there's anyone who knows how to edit a wikipedia page, it would be great if you would take the initiative to edit hers and add a "Conflict of Interest" heading. I tried doing it, but I guess I don't have the proper training/experience. Currently her wikipedia page reads like a press release, and I'm sure it is. We must kick out the stilts that is holding up this Rube Goldberg contraption called MOC one at a time. I kicked my stilt out by resigning from the ACC. There is still a forest of poles, sticks, and staves holding this thing up, but it is creaking and getting more rickety. Where can you kick one out? O'Kane has egregious conflicts of interest! So does the NCQA she founded and the history of conflicted shady company they keep: Baron, Cassel, Slavitt, Wachter--long list. NCQA is a very clever scam with very creative inventions they designed for growing revenues over a 25-year period. Read the article and comments/references to Wes' BlogSpot below for some insights. The ABIM became a sewer of deceit under Brem, Farber, Benson, Kimball, Cassel, and Baron. Six decades of dirty personal finance and slimy partisan politics. O'Kane is a Public Member of the American Board of Medical Specialties (ABMS) Board of Directors and Executive Committee. In order for insurance companies to be certified by the NCQA, they are required to force physicians to participate in various Maintenance of Certification (MOC) programs. These MOC programs have no evidence that they improve physician performance or patient care and are essentially money-making programs for the ABMS and its affiliates. O'Kane and the NCQA thus financially benefit from rules that they have put into place and have lobbied Congress to enact into laws such as The Medicare Access and CHIP Reauthorization Act of 2015 (MACRA). O'Kane has a clear conflict of interest and is essentially involved in a racketeering operation. Many physicians have become upset about this situation and are working towards changing the MOC system. There are lawsuits pending against the ABMS regarding this issue. Wachter was a former Chairman of the American Board of Internal Medicine (ABIM). The ABIM has been forcing physicians to participate in its Maintenance of Certification (MOC) program by lobbying Congress to put provisions into law that require MOC. There is no evidence that the MOC program improves physician performance or patient care, and MOC is essentially a money-making program for the ABIM. Wachter thus financially benefitted from rules that he worked to put into place. Wachter had a clear conflict of interest and was essentially involved in a racketeering operation. Many physicians have become upset about this situation and are working towards changing the MOC system. There are lawsuits pending against the ABIM regarding this issue. Wachter has also financially profited from a company that is now under federal investigation for overbilling Medicare. Anyone with understanding of the NCQA and their ABMS associates would agree that Margaret O'Kane has egregious conflicts of interest and is involved in a racketeering scheme. O'Kane considers physicians to be products/items that should be bought and sold with a "warrantee." (M. O'Kane's analogy for MOC.) I find her analogy insulting and appalling. Who is O'Kane and her pet enterprise the NCQA fooling, and who are they accountable to? What corporate enterprises built them up and why? Physicians should seriously meditate on all the foul players such as the NCQA and ABMS which are severely limiting patient access to quality care from highly trained physicians. That is the deepest offense of all to see how patients suffer from limited access to an increasingly limited number of physicians. 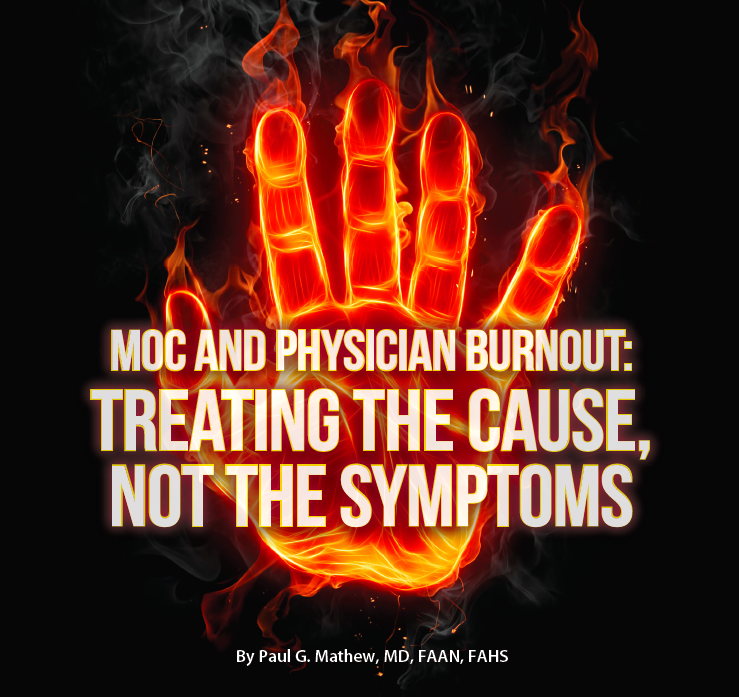 Creating burnout is only a part of the conscious design to malign the profession and cut costs on actual healthcare, while quality assurance bureaucrats' compensation and their numbers increase exponentially. ABIM's expert opinion on Kurt Eichenwald from 'Director of Investigations' Mannes? It appears ABIM's 'Director of Investigations' Ariel Benjamin Mannes also ridiculed Kurt Eichenwald about Kurt's claim that epilepsy was induced by a Trump supporter. safety. Mannes has two felonies (firearms and impersonation of police officer) stemming from the following heinous assault on a client where he was a bar bouncer. Serious question: Does Mannes speak for the Drs. Baron and Nora of the ABIM and ABMS? As far as a I understand Mannes is a witness who was deposed in at least one lawsuit against the ABIM. Why is that court-scribed deposition 'gagged' presently when Mr. Mannes' mouth apparently is not? This distribution of lies. by a man the ABIM fails to list on their list of executives or put his executive position on the 990's is more than troubling and demands an explanation from Dr. Baron's CEO of the ABIM. Moreover, Mannes has files on both of the Eichenwald's and appears to hold an unprofessional grudge on both of them. This may prove to be more dangerous than the Tweets that Kurt mentions induced a seizure. Mannes is a person with a known history of violence and abuse to reporters and physicians. I have serious concerns that that 'history' can spring into action at any time. The ABIM and ABMS has an obligation to address this serious issue. Nice hired thug you have there, "dr" baron. So, is the ABIM now publicly attacking dissension using social media via a poorly disguised proxy? Such a high level of proffesionalism you show by doing so, "dr" baron. The love of being a physician has been "legislated out," opined a humble doc's blog. "I have a breathtakingly difficult confession to make. A confession, that on its face, seems rather innocuous, but in many ways shakes the foundations of who I always thought I was. How I identify myself." "I no longer love being a physician." "I suppose the change happened sometime after we started using electronic medical records. It happened with meaningful use. And MACRA. And Medicare audits. And ICD-10. And face to face encounters. And attestations. And PQRS. And QAPI. And the ACA. And MOC. And on and on." "What I do today is no longer practicing medicine. Instead its like dancing the waltz, tango, and salsa simultaneously to a double timed techno beat. It's sloppy, rushed, unpleasant to look at, and often leaves my partner more confused and anxious then when we started." Part of what is wrong with medicine is the rapid rise of corrupt and powerful quality assurance NGO's. This has led medicine in the wrong directions. It has contributed to burnout, loss of faith and force. What is little understood, but sensed by most physicians, is the corporate corruption/influence that has set into the mold. And the mind-numbing amounts of money that the leadership harvest for themselves today, taking full advantage of deceitful back-channel collusion and regulatory capture. The ABIM leadership paid/pay themselves huge sums for selling-out physicians. This has been going on for decades. Undisclosed relationships with the medical industrial complex (even big tobacco)when made known, showed us just how potent the conflicts of interest were of Thomas Brem, Christine Cassel and Robert Wachter, and so many others. The rise of big tech companies involved in EHR is another facet of the story and problem. Some interesting facts emerge about these software and service companies, when we dig for facts about quality assurance elites like Chris Cassel. The influence pedaling that Cassel has been involved in is mind-boggling. Her government and corporate influence aided Kaiser Permanente and Premier, Inc. in growing to prominence nationally. Cassel and her partners even aided these corporations by using ABIM funds to help in mergers and acquisitions of companies like Premier/Cecity. The rise of Epic as an EHR was aided by Christine Cassel and her cronies while she served at the ABIM and on the board of Kaiser Foundation and Hospitals Plan(s). Bob Wachter has defended much of the corporate takeover of medicine and the profession that has happened and involving Epic's controversial endorsement by a new CEO Halvorson back in 2002/2003 when the Kaiser board leadership and board was replaced about the time Cassel was appointed to the Kaiser board and the ABIM. And we see how Bob Wachter is involved himself in the UK NHS push to go digital with EHR by 2023. Wachter's top recommendation was the NHS needed to allocate more money and extend the time period to completion. The smell of venture capital and self-enrichment is all over Robert M. Wachter's unclean hands. I always laugh when I see Wachter pushing for "hand washing" when nothing could get Macbeth's blood-soaked hands purged of their dirty crimes. Wachter and Cassel have been shilling for corporate special interests and ABMS financial interests for a great number of years. Anyone who wishes to explore these two medical politicians and their profiting from government-held positions and corporations can discover much. I am astounded that the DoJ when they dug into these two elites' activities involving the NQF and Chuck Denham, it is disappointing that the investigations were quarantined parties like Chuck Denham at the NQF and did not dig further into the systemic corruption and the conflicted activities of Cassel and Wachter. They have created such a vast network of profiteering and political influence. Even protection by hiring thugs like A. Benjamin Mannes to do their dirty work in the dark and even abusing government power by taking extraordinary advantage of ex-parte communications. Ariel Benjamin Mannes as exponent of the ABIM on Twitter is a symptom and warning sign that should set off alarm bells in everyone's minds. Baron is apparently ignoring the profound warning signs that physicians and the public are seeing at the ABIM and elsewhere at the ABMS. The ABMS and the testing industry declared war on patients when they began their covert terror operations against physicians. MOC is part of that terrorism. MOC provides a big part of the funding for the illicit political and financial territory they have taken with the surfeit of cash flow. They want to keep their pockets stuffed when the time-honored boards were voluntary services provided by rotating physicians, not political hacks. Bottom line. Patients want their physicians back. Lack of access and brevity of time are part of it. Stress, burnout, and the disloyal bureaucrats and dirty tricks enforcers everyone who cares to look experiences is the basis of revolt. It is a reaction to what is totally unacceptable medically and revolting. This age of quantitative measure we live in reflects the moral degeneration of our time. The ABMS broke their pact with both the public and professionals who they feign to serve. That is reprehensible. When the bureaucrats of new formation severed their pledge and commitment to providing voluntary certification for physicians they severed the medical world and threw it into chaos and a false rule. What we observe in this chaos is aloof abstraction and greed riding on its high horse far above what is real. What is real is to serve love, pragmatism, medical science, service and sound reason. Whether one is a physician or patient, there can no excuses for being on the wrong side of history, reason and conscience. Most of our ills grow out of the absence of impartial thinking and not listening to our conscience. Thinking and conscience serve something greater than ourselves. That is the model we need to follow. It is simpler, effective, and costs little in terms of wasted money. But that is the problem for the greedy bureaucrats who self-appoint themselves and make excuses for their inability to see the truth and make the vital changes needed. Such narrow minded and unethical leadership demonstrates how wrong their historical perspective is when they keep ruling with an iron fist and bloated bureaucracy continually to tell highly trained educated adults that freedom, liberty and happiness is not attainable for them. The Cassels and Barons of the world tell us emphatically that passion for medical science, self-tailored CME, and love of one's neighbor is just too cheap a solution for their acquired desire for the easy street to luxury at the expense of everyone else. They live large and remain small inside. At what point did the ABIM and ABMS become actors associated with the FBI, Homeland Security, and the Washington DC metro police? 2008 or earlier? How intertwined are the medical boards with these agencies and the self-proclaimed "counter-terrorism expert" Ariel Benjamin Mannes? According to court documents, online CV, and a deleted ABIM press release, Mannes is the ABIM's official 'director of investigations'. Mr. Mannes has claimed to be involved with the FBI, Homeland Security, counter-terrorism (even 'Israeli security interests') and has tried to cover-up his obvious dark-money relationships with the testing security industry via ATP, etc, but primarily a testing security company called Caveon. Caveon has a less than stellar record among privacy advocates and several reporters have chided the company for potentially playing both sides of the test security coin for profit. They have been accused of favoring the 'client' at the expense of fairness and honest assessment. Mr. Mannes, a double-felon claimed to be a 'director' or 'manager of security' at Caveon testing security in Utah, while residing in Pennsylvania and working full time for the ABIM. Mannes modified this relationship with Caveon on his CV prior to and at the time of a court deposition. Why? In 2014 or 2016 (depending on which of Caveon's contradictory information sources you believe) Marc Weinstein, one of Ballard Spahr's lead attorneys in ABIM v. ABR (Drs. Arora and Kachadourian) was made a VP of testing security and 'privacy'. Many people consider this highly unusual series of conflicted people and events to be untrustworthy and unsuitable for an organization like the ABMS. The ABIM certainly has not shown itself to be worthy of the high ethical standards that the ABMS and the public places on its member boards. The ABIM and ABMS has not addressed these conflicts of interest and blatant breaches of ethical conduct. (I see some call it racketeering here.) They fall short of meeting expected standards of excellence and transparency. In fact, they not only fall short, the ABIM has failed the tests for ethical behavior and transparency in many of their financial and political endeavors and maneuvers. They should be held accountable for this. There should be a thorough investigation. Another troubling aspect of the ABIM's 'director of investigations': Mannes claims on his resume to have worked for the DC police from around 1999-2009. (Mannes, ABIM 2008-present.) Was Mannes acting on behalf of the DC police when he investigated Dr. Arora and the ABR with Marc Weinstein of Ballard Spahr from 2008-2012? Was the DC police informed of Mannes activities and was he out of his jurisdiction in Pennsylvania to act as an officer of the law in 2008 and 2009. Impersonation of a police officer? It is on Mannes court record. He plead guilty. Is that an exaggeration that he plead guilty to impersonation? Most troubling is the fact that Mannes has a felony for impersonating a police officer from a few years prior to his full time hiring by the ABIM in June of 2008. The timing is significant. What are we to make of all this? For one thing Mannes could be easily manipulated or a person that could easily manipulate others. And the conflicts of interest are appallingly egregious--flaunted in the publics' face! The ABIM/ABMS' attack and persecution of physicians should all be reconsidered and investigated in light of these financial conflicts, obvious misstatements/lies and the cover-up of close ties and relationships. Some have called this a war of terror both political and financial against physicians and the public who depend on their doctors to be free of such financial and political attack. There is no question in ABMS' victims' minds and their attorneys (and some judges) who have had to deal with the ABIM and Ballard Spahr (and their felonious intimidation squad) regarding the undeniable truth of this unnecessary harm caused to so many. Was the ABIM informed of Mannes felonies and especially of his past impersonation of an officer. Mannes claimed (read it on his CV) to be a metro police officer while conducting ABIM business with Ballard Spahr and the federal courts? Why did he claim this? For what advantage? Were the courts informed of the felonies Mannes had on his record while he presented evidence to a judge with Ballard Spahr? There are so many confusing aspects that appear to be pure misstatements or bold-faced lies that we do not know what to believe. Clearly there has a been a propaganda war that the ABIM has been engaged in via their 'director of investigations' to say the least. Even last week the director lashed out at Kurt Eichenwald on twitter calling him as someone wrote it here a 'dirt bag' who investigated the ABIM so his wife did not have to take the medical boards. What a lie. Then he deleted the statement and said that he was not a war with physicians and claimed harassment. It is another lie as bold as the others. It is also more cover-up and intimidation against physicians and the public who want answers. What is clear to everyone who followed the tweet that the ABIM considers reporters who dig for the truth to be 'dirt bags' and want to avoid the certification process for themselves or their 'physician spouses.' It reveals that the ABIM conducted a political/character assignation of Kurt Eichenwald and any other reporter involved in trying to get at the truth. Mannes has a history of suppression of reporters. He lost his job over it and covers that up on his CV. I am surprised that Dr. Baron and Dr. Nora are not inundated with calls about this current round of lies and intimidation from their 'official director of investigations'. Has the whole ABMS been turned into a gestapo violating/intimidating Americans out of their first amendment rights? Campbell also worked as a contractor for ABIM from May 2006 to April 2008 purging the HR department of two senior African American managers gaining control of hiring and payroll for Christine Cassel's regime. Campbell worked under Dr. Richard Baron from 2013 to 2016. The ABIM was sued for discrimination over the firings. Campbell would have overseen the hiring of Ariel Benjamin Mannes, the 'director of investigations' in June of 2008. ABIM has not announced any replacement for Director of Human Resources as of yet. A search of ABIM's transparent website for Donna L. Campbell yields no results. Has ABIM deleted their HR Director already as though the position and their executive never existed? Has the ABIM communicated with the AMA House of Delegates who voted overwhelmingly to end mandatory MOC? Has the ABIM reached out to hundreds of thousands of physicians about their opposition to MOC and the fact that MOC has no scientific basis to back it up only bogus ABIM studies? In September/August of 2016 ABIM hired yet another expensive Vice President to communicate with physicians when Dr. Baron has been silent on all the important issues. Will the communications VP be available to answer tough questions? Her new role will focus on outreach to and communications with physicians; will support Foundation's mission to advance medical professionalism"
How much longer can Dr. Baron hang on until he also leaves ABIM in the rearview mirror, most likely to accept another 'revolving door' position at ACP, NCQA, NQF or one of the other corporate lifeboats for elite professional medical politicians who are hearing footsteps behind them? It's easier to follow the example of his mentors Drs. Cassel and Wachter than to wait until the inevitable indictments are handed down. How can physician fees be put into ABMS for-profit enterprises such as "ABMS Solutions" in Atlanta, Georgia? How much is that leased space and overhead costing member boards and physicians who pay for it ultimately. It is outrageous corruption. Where is the DOJ! Furthermore, how can a member of the ABMS be allowed to invest in offshore holdings and get away with it. I am referring to ABIM's Cayman Island/Ireland funds. How about ABIM's documented history of investing in luxury condos. How could the IRS not be informed by a whistleblower about the defunct hedge funds ABIM invested in for over 14 years. The ABIM covered up huge losses by liquidating long-term holdings in order to create a 'mask of gains' in the early 2000's. The bubble burst and they were left holding the bag at the ABIM Foundation and 1838 Investors. And what about the ABMS approved-foundation (ABIMF) that secretively hid the physician's money under the dark sheets for nearly 18 years? How can that deceit be squared? Hiding millions of dollars under 'Iowa's loose sod' in a fraudulent attempt to mislead the IRS and Secretaries of State of Iowa and Pennsylvania. How can an ABMS member board be allowed to squander physician fees on a secret condo for unknown purposes with costly overhead - astronomical condo association fees and utilities that instead could have covered/paid for hotel accommodations for "high profile guests" and "bird nesters". But that logical solution leaves a paper trail at hotels. And it is difficult to justify a private mutli-tasking security guard with a scandalous past standing outside a hotel room. Under what category can you put that kind of expense on the 990 tax filings other than to create a new but undisclosed 'executive' position. Seriously, how can physicians fees be used to hire felons to investigate, surveil, hack and monitor physicians? Is nothing in our constitution sacred at the ABMS? Apparently not! Their egregious violations of civil liberties must be held to account and the perpetrators prosecuted. How can these ethical, financial, and legal transgressions committed by the ABMS be accepted when the ABMS and its main strong-arming member the ABIM are the guilty parties needing to come under close scrutiny of the White House IG for abuse of power and egregious misconduct. (Cassel/Baron/ABIM, conducting themselves as contemptibly abusive and corrupt state actors.) And the DOJ and IRS need to participate in a joint investigation with the IG. There should be a full investigation and audit of the ABMS umbrella and all of its member boards immediately. Since MOC in addition to the 10 year exam is a relatively new requirement for ABIM Cardiovascular disease recertification, is it acceptable for hospitals to now require MOC in addition to the 10 year exam for re-credentialling? Case in point- HCA hospitals medical staff bylaws state that board certification requirements for recredential process of maintaining hospital privileges for established medical staff will remain what they were when the original privileges were granted. That means anyone applying for new privileges to hospital must adhere to MOC and exam requirements, but those of us on staff, having been through credentialing years ago, will not be bound to MOC for the hospital privileges, unless the hospital changes the bylaws. Right? MOC is riddled with numerous discriminatory practices as you have articulated and will likely become basis for several suits. This program is particularly discriminatory to younger, non-grandfathered physicians. As to your situation, your question should probably be brought to your medical executive committee. I would encourage them to also allow NPBAS credentialing in the interim.